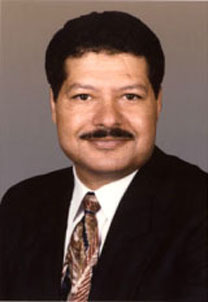 Egyptian-American chemist Ahmed H. Zewail developed a new way of using ultra-short pulsing laser flashes to observe and isolate chemical reactions down to the femtosecond (one quadrillionth of a second). His pioneering methodology, called femtochemistry, has revealed previously unknown aspects of the transition states of chemical reactions, and brought Zewail the Nobel Prize for Chemistry in 1999. He has also studied 4D electron microscopy.